Researchers in Japan have identified dishwashers as a source of Legionella bacteria that resulted in the contamination of two tap water sources in a hospital. During a routine inspection of the hospital water services carried out in 2011, Legionella bacteria were identified. Two follow-up investigations were conducted to determine if this contamination was simply a rare one-off or was a more widespread problem. Legionella bacteria is the causative agent for Legionnaires’ disease, a serious lung infection. 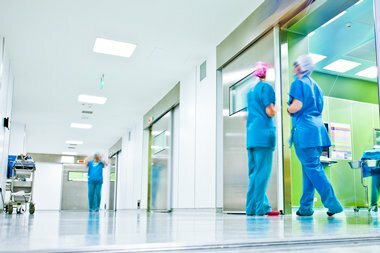 Can hospital water systems become contaminated with legionella? The research team also conducted a detailed inspection of the hospitals water installations to attempt to identify other areas of legionella contamination; together with a retrospective study of patient records from 2006 to 2011. Although the researchers found no evidence of patient infections during this 5 year period, further contamination of the water systems by Legionella bacteria was identified. The team collected water samples from taps located in the hospital inpatient and staff areas and from dishwasher connections in the staff areas. A number of taps and dishwasher connectors were found to be contaminated with Legionella bacteria. PCR analysis revealed isolates from 3 of the taps and all of the dishwashers were L. pneumophila SG6. Further investigation revealed that the contaminated taps were connected to the same hot water pipelines as the dishwashers. According to the researchers, all of the dishwashers were immediately removed, and the hot water supply underwent a thorough cleaning and decontamination. Since then, all cultures have been negative. The researchers said the water temperature in the peripheral hot water pipeline was lower than the temperature of the central system, and the chlorine concentration in such systems is lower. Yoshida M. Abstract K-1677. Presented at: Interscience Conference on Antimicrobial Agents and Chemotherapy; Sept. 5-9, 2014; Washington, D.C.